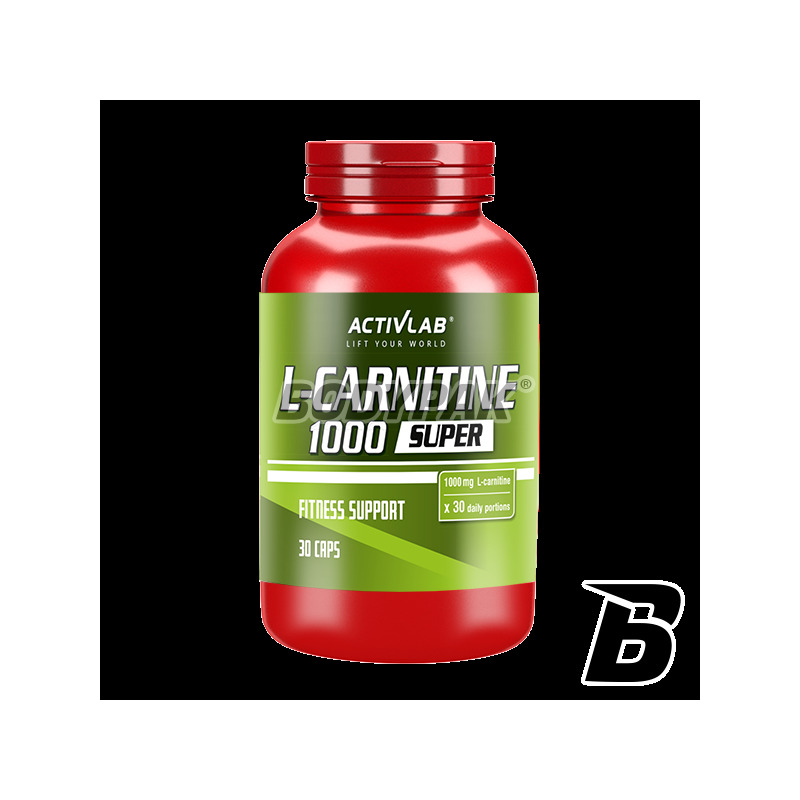 Fat LossActivlab L-Carnitine 1000 Super - 30 kaps. L-carnitine is a natural substance called Vitamin BT. It is particularly important in regulating the level of lipids in the body. The use of her before exercise activates fat, making it immediately converted into energy, resulting in almost double amount of calories. The use of L-Carnitine prevents tiredness, reduces regeneration periods after physical exercises, increases overall output of organism and significantly reduces fat cells preventing the appearance of yo-yo effect. It increases basic training parameters, ie. Aerobic capacity, strength, speed and muscle mass. Amino acids L-arginine and L-ornithine intensify the effects of L-carnitine effectively increasing the breakdown of body fat. L-carnitine works best in tandem with exercise. 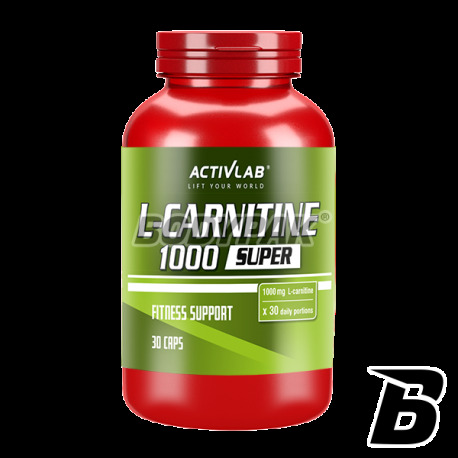 Activlab L-Carnitine 600 and Activlab L-Carnitine 1000 Super is especially recommended to those dieters, as well as to active and recreational sportsmen. 1-2 capsules 30 minutes before exercise. Składniki: L-karnityna, substancja przeciwzbrylająca: sole magnezowe kwasów tłuszczowych, l-arginina, regulator kwasowości: kwas cytrynowy, otoczka (żelatyna, barwnik: dwutlenek tytanu). dobra l-karnityna, dobrze wypada w stosunku ceny do jakosci. Świetna karnitynka w dobrej cenie!